Uploads have now resumed, although there is a backlog of sessions to process. 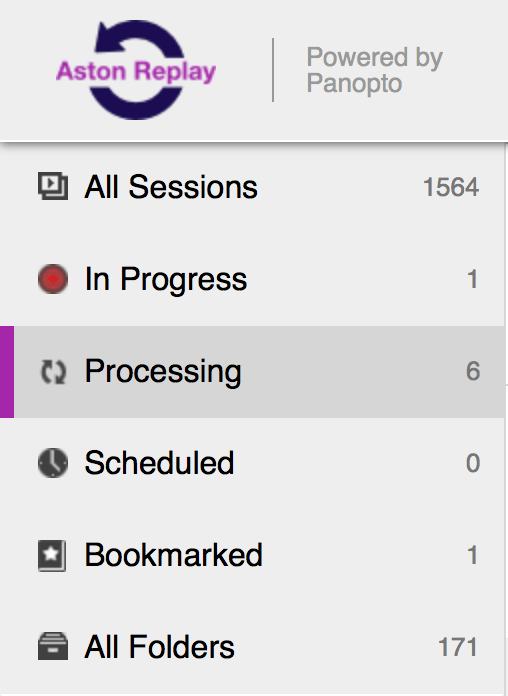 You can check on your sessions by logging into Replay and looking at the processing tab. If this says 0% it means the computer it was recorded on hasn’t been switched on since uploads were enabled again. If the percentage doesn’t change when you refresh the page, it means the upload didn’t finish before the computer was shut down. The session was fully uploaded to the server, and is in the queue. The session is being encoded and will be available shortly. The playback buttons wont work on aston replay, going forward and backwards by 5 or 10 seconds is a pain, this is probably caused by the software not loading properly at times.